In this next installment of The War on Girls I take another look at how society is failing us. I feel the need to preempt this with the fact you may not whole heartedly agree with me. I am not a medical professional and I do not claim that all medications are unnecessary. Perhaps you function perfectly well with them and live a ‘normal’ life. Or maybe you are living in a part of the world where it seems unfathomable and unbelievable that one could live a life dependent on anything but a superior being. Then again maybe this story will be all too real for you and a truth you too share. Which ever walk of life brings you to The War on Girls series at ACR, I thank you for your open mind and taking the time to hear my words. There was a time in my life where I was dependent on drugs just to get through the day. I was taking them to fight off the depression and anxiety that plagued my life after the sudden death of my father and during a near divorce in my marriage. Out in public, even with friends, anxiety attacks would make me want to rush home and just be alone. In my solitude I could not find comfort and the emptiness would swallow me up. I did not feel safe in my own skin. My pills became my security blanket, helping me to feel…well to feel nothing. They did not make me happy and they could not make me forget. However, a quick swallow and life would just slow down for a long enough moment that I could relax and calm down. My depression weighted on me heavily and often I just wanted to sleep. Something my medication helped me do easily. I may have not been having to feel the entirety of my sadness but I was not living life fully either. It was not the solution I had sought after for myself. I had tried to be independent and take it all on by myself. Even my closest friends did not know what I was keeping to myself. My religion told me I could take it all on with prayer and my nomadic free spirit pushed me to carry the weight myself. But when it got to be all too much after my father’s funeral, my mum urged me to see a doctor for medical help. I had seen therapists before and I was hungry to talk to someone. To have someone hear me who could listen and offer advice. My psychiatrist however spent more time filling out my prescription than he did asking about how I was doing or listening to what I had to say. I became seduced by the magical idea that a miracle pill could help me. After all it had helped friends I know. Was I buying into the idea that having prescriptions was trendy? I was too sad and too anxious to focus on anything but change my current state of mind. 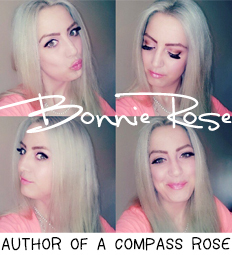 You can click the link above in the excerpt to read the whole story of my personal journey with taking Klonopin. In the end I found alternative people with optional solutions to help me find my happiness. I realised that it was okay to ask for help and that I would have to rely on myself and be okay with that fact. While I cannot change my past I look at my experience as a way to connect and reach out to others. I cannot help but think that people like me have been failed by society and the people around us. In a world where it is so much easier to find a medicinal answer to our ailments instead of a solution for the underlining problems. Where everyone wants to get the job done and fix things but no one wants to take the time to listen. Where we feel too scared to reach out to our friends when we are ourselves drowning in pain. When as girls it is easier to just say we should ‘see a doctor’ or be put on medication then to see us as beautiful, raw, individuals with our individual flaws. I have in-laws who continue to see me as a broken individual, a fragile rose with thorns, a person who should always have to see a doctor. Why? For the believe that depression never ‘really’ goes away. Who makes these rules and puts these shackles on us just because we are girls who feel ever pain and strain of the world around us? Why must the girls of this world be made to feel like we are worth less and unable to be built up stronger than ever before? I am happy to say that I found my happiness in England. The anxiety attacks which still plagued me every now and then up until 2011 stopped as soon as I relocated back to Europe. It amazes me that the personal triggers and situations that I knew all too well, do not phase me in my ex-pat life abroad. I finally feel like myself. I am not saying I do not ever get sad. I am not immune to monthly mood swings, culture shock and homesickness. I recognize that things like ‘seasonal depression’ do exist with the changing seasons and shorter days. For me personally I focus on a more positive look at life and I know what things can quickly turn my mood around. Cuddles from my boys, kisses from my husband, and being outside on a country walk do more for me than my pills could have done. It makes me thankful to know that life does get better. The photographs in this post were from my project, Secret Lies of Men & Women. 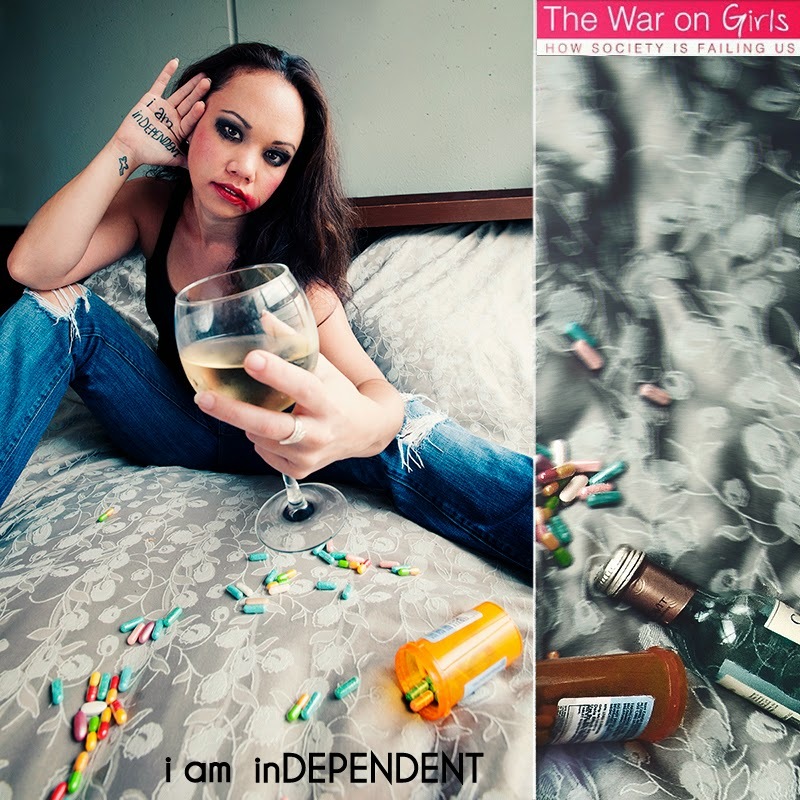 The middle image pictured was the main image chosen to represent my woman who was dependent on drugs and alcohol. The lie written on her hand states ‘i am inDEPENDENT’. I chose to write the the word ‘dependent’ in all caps as it was the real truth visible in the image series. 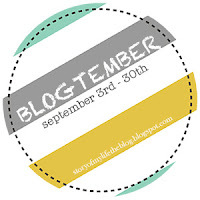 Today’s Blogtember prompts asks to ‘describe a distinct moment when your life took a turn‘. For me it was not one moment in time but a summer where my my life took a turn. More than one turn to be exact. On a personal journey that would not all together be beautiful. New experiences, heart wrenching pain, and learning just what it meant to rely on oneself. I did not plan for nor could have expected what that summer would have had in store. It was the beginning of Summer in 2009 and I was living on the island of Oahu, Hawaii. I had recently experienced a tearful goodbye as we sent my kids to the mainland for the summer with my husband’s parents who had been visiting. The decision came up in a discussion when we were trying to figure out the current logistics of our lives. A year had not yet passed since my dad was killed and I was still going through the grieving process with depression and anxiety. Our marriage had hit rock bottom when we lost my dad and since had experienced ups and downs. We were currently at a ‘down’ moment. I had sought counsel from a dear friend I had known since my I was young and was advised to get out of the situation. I had hoped that giving us both space we would finally be able to work through the issues. Sometimes staying in the same situation without change can only have the same result. I wanted change. With my kids spending the summer with grandparents, I took a new job in a start up salon on the other side of the island. To cut down on transportation costs I found a room to rent that was close to the salon. That began the start of our trial separation while we continued marriage counseling. I went from living in our small apartment that resembled a cave from lack of natural light to having my own room in a light airy space close to the ocean. I changed roles from being a full time stay at home mum trying to work through the loss of my dad to being a working woman who for the first time since leaving University had free time without kids. In the beginning I came to work every day as a way to keep myself busy. The more I worked, the more I did not have to think about how much I missed my kids, how much I missed my dad, or wonder if my husband was missing me. It was very lonely in the beginning because I felt abandoned in away. I was now without a car and had not been able to get my friends to come over and visit. Being a military wife stationed in Hawaii I also had no family members I could call on for support. I really wanted to hang out with my coworkers after work but my boss told me I should start learning how to rely on myself. To be okay with being alone. It was a lesson I was not wanting to learn, but began that summer. So I slipped into my new role and took one day at a time. The second but not last turn my life would take that summer was of the healing kind. I had been prescribed Klonopin from my doctor to help me with my depression and anxiety issues that had come up after my dad’s death. My doctor appointments always felt like visits to a local drug peddler as it seemed more about drugs and dosage and less about my feelings and spending time talking. The klonopin took away the pain or anxiety of a situation but it also took away a part of me. 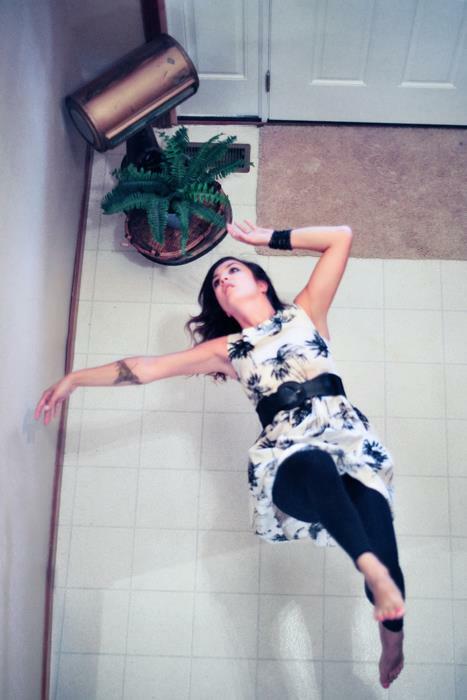 I was beyond flat and become like an emotion zombie. The worst was how it would just zap all the energy out of my body and make it so easy to fall asleep. By the time I had been working at the salon my boss sat me down for a heart to heart. He told me he could not tell me to stop taking the klonopin, but that he did not feel I needed to rely on it anymore. He promised to help me by coming up with a fitness programme and diet so that I could be happy naturally. As a former life coach and the one positive male role model in my life at that time I decided to follow his advice. 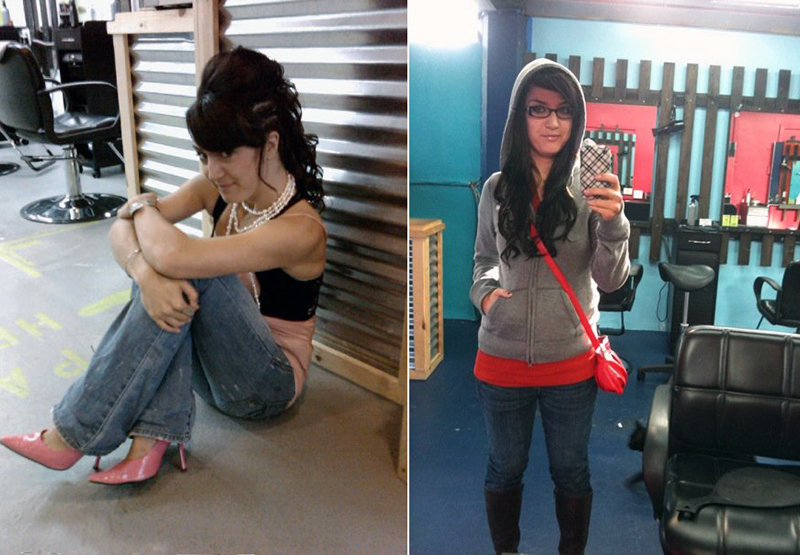 I stopped taking Klonopin and started doing crossfit and yoga with my coworkers. Slowly I started my journey towards finding my happiness. Yes there were bumps along the way and it was not easy. However I was making lots of new friends, picking up new hobbies, and learning again how I could be okay with being independent. Training for a marathon with my co workers and boss on the picturesque beach in Lanikai. …I saw my life through renewed eyes. I would like to say that the rest of the summer got easier from that point, but things took another turn for the worse. Another story for another day. 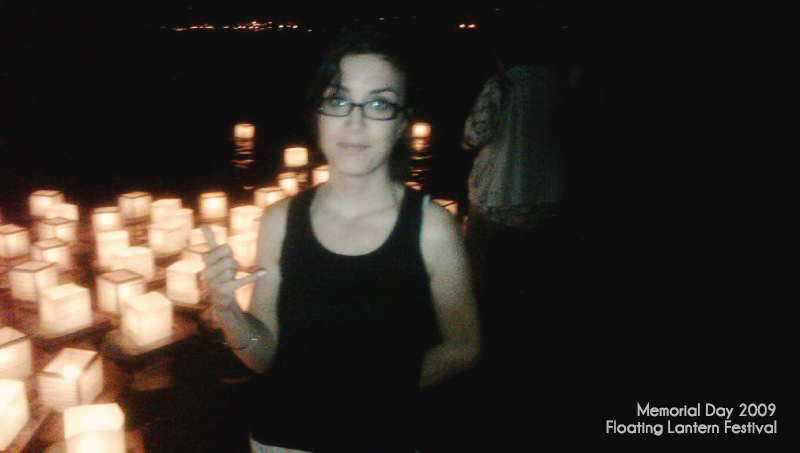 This was the beginning of my summer and a moment in my life where it took a turn towards change. I think it is so important to look at the trials in your past as stepping stones of change to the person you have become today. I never thought I would have to lose my father so soon and it was the first time I have ever had to grieve a loss so great. I look back on it now as an experience in which I can give empathy and support to others who may find themselves in similar situations. The one thing I would never want someone to have to go through alone is a period of loss. I have started a Sunday series entitled The War on Girls where I focus about the issues I feel personally society is failing the female generations. For me I had more judgements or silence directed at me in a period of my life where I could have used so much encouragement. I believe it is so important to not look at someone’s life and judge from the sidelines. To go off of limited information, speculate, and speak illy of someone where in a world of social media such words are a form of bullying. It is definitely easier to assume and to give advice to someone, it is harder still to encourage when you have not walked a few steps in their shoes. 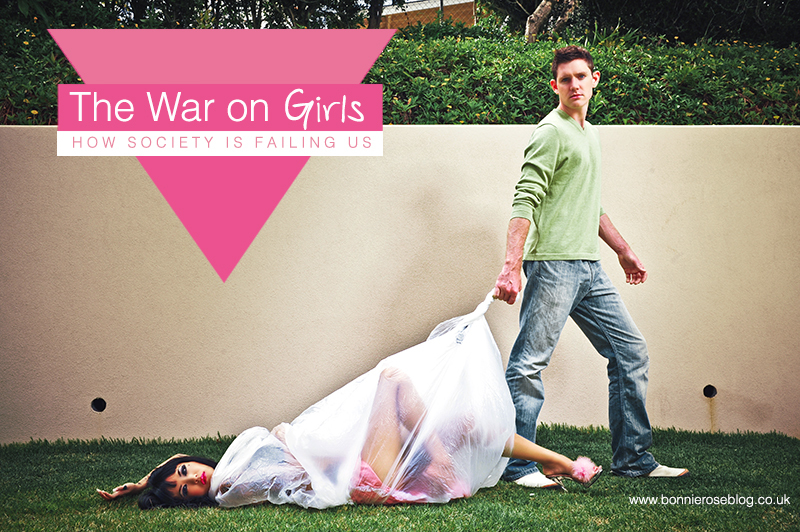 This is a sneak peek of things to come on Sunday’s continuation post on The War on Girls. I challenge everyone who reads this to focus on unconditional love for others. I have another post about Overcoming Klonopin if you are interested in knowing a little more. 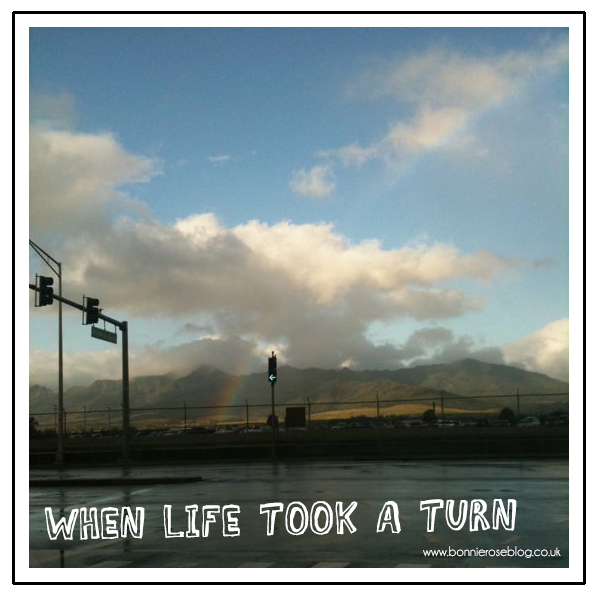 Q: How do you look back on the trials in your life? Do you see them differently in retrospect compared to during the time in question? Day 16, Thursday: Something difficult about your “lot in life” and how you’re working to overcome it. This prompt made me think for a while on what to share due to the fact that right now I feel very content in life.However it has not always been this easy, nor have I felt this happy. Although this is not something I am currently having to work to over come, it is the first time I have ever talked about it online. Mental health still seems like a taboo conversation by many and I hope by sharing we can break the stigmas and help people so they do not have to go through it alone. The first two deaths in my family were sad but not life impacting. My mum’s brother died while I was in high school and my dad’s father died while I was in University. I felt more sad for my parents and their loss because I had only been around each individual a few times when we visited the US. I experienced loss as a Third Culture Kid (TCK) with no sense of ‘home’ and having to continually say ‘goodbye’. However death had not affected me as much as it would a few years later after I have had two kids. On August 14th, 2008 I realized my marriage was falling apart fast and hours later I got the call that my dad had been run over on his bicycle. My life shattered into a million pieces. It was not just the sudden loss of my dad that we were all dealing with in Arizona. We were dealing with the police department, the reporters, the hospital over my father’s missing rings (still missing), the funeral arrangements in both Tucson and for his funeral at the USAF Academy in Colorado Springs, the memorial service at his school, the memorial service at church, the ghost bike, and the correspondance pouring in from all over the world. Though I was not really speaking to my husband at the time, he was a rock for my family taking care of so many details. However I felt I was going through this loss all on my own while my sister and mother both had people to help them through the process. When it was time to leave after the funeral I decided to stay at my mum’s for a while. While I should have fully had my husband to support me through the loss of my dad, I equally should have had my mum to support me in my broken marriage. But how could I dare to even bring it up when she just lost her husband. I would be lying now if I said I was not still somewhat angry at the girl who decided to be high when she hit my dad in that truck. I’m equally still upset at the the Tucson Police Department for doing a shoddy job on the scene and in the police reports, as well as never charging the driver for the death of my father. Tell me again how someone ‘struck from behind’ on a bicycle yields to someone in a truck? It is much more subdued now but you can understand the anger, pain, sadness and confusion that would come from that initially. Before I left to go back home to Hawaii, my mum urged me to see a doctor about medication as depression ran in our family. Thats what I did. I had seen therapists before and I realized after the first couple of visits that my psychiatrist more incline to subscribe me medication and less to hear me talk. I had wanted to take the same thing my mum was on and for whatever reason my doctor decided against it. Since I was also dealing with anxiety at this time of my life he put me on Klonopin (clonazepam). I think it helped in the beginning for when I really felt anxious being in public or when it just hurt to much about the loss of my dad. I remember once being out with a mummy and kids play group on base and my best friend looked over at me and could tell I was having a panic attack. I remember how comforting it was to know someone understood and taking my klonopin helped so much. There were issues with the dosage while I was taking it as they tried to find the right amount over the course of my treatment. After getting my dosage raised once and still taking it in the morning, it would knock me out so quickly. I would not even know I was getting tired until I was fast asleep. It was more than that it was the way it took away the passion and the heart of my personality. I may have not been myself with dealing with everything going on in my life, but I was definitely not me on Klonopin either. My emotions felt very flat and if I was needing to take another pill I could be really irritable and upset. I remember just wanting to be alone a lot of the time. Being around my in-laws at all brings on a lot of stress and I just sat in a closet once during the Christmas holiday to find some quiet and past out amongst the coats and the darkness until my husband found me. There did not seem to be an end to this tunnel because it was masking the problems. It was not fixing the loss of my dad or the cracks in my marriage. During the summer my kids went to spend a few months with my in-laws on the mainland. I had just taken a new job at a salon across town and had decided it might be best to find a new place to live while we attempted a trial separation. We had tried marriage counseling though we mostly talked about my issues of loss, my need to move ‘home’ to Europe, and whatever trivial talk my husband and the counselor brought up about life. Nothing seemed to be moving forward when it came to us. It was in my new job that my boss found out about the Klonopin. He could not medically advise me to stop taking it, but he told me he didn’t think I needed it anymore. As a life coach and mentor, he helped me to start working out again. I began doing crossfit and yoga every week with my coworkers. I started making sure my diet was better, meaning making sure I ate enough calories and not relying on fastfood since I was now renting a room with college students. I started to slowly change back into myself. That makes its sound like it was almost easy to stop relying on the medication and that life was now blissful. 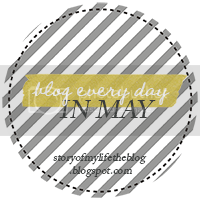 It is too much to add to this blog post but at that time life was just as hard. My marriage was now going through the beginning stages of a divorce. My in-laws were orchestrating a deal with a lawyer so my husband could push for full custody of the kids, giving me a clean break so I could leave for Europe. Obviously anyone who knows me knows how much my kids are my life and that no deal would ever come between us. At that time I was floating through new acquaintances with no real support system of friends. I realized how much of a gossip pool the military circle can be hearing untrue things about me circulating about me from people I had never met. Everyone has an opinion when others are dealing with hardships. I will say my mum, though at the time our relationship was not doing to great, never said a bad thing about my husband. It is something I am going to remember when my children get married especially in comparison to everything my in-laws have said or done up till last summer. So life was not easy. But I was now dealing with it without medication and not covering up the sadness, the pain, the anxiety of feeling like everyone was focused on me. I ended up moving back in with my husband when the kids got back from their summer vacation. It took three years but my husband and I are doing better than we have ever been. I still no longer take any medications. I honestly dislike to have take anything for a headache until I complain too long about it and cave. I am more incline to go the homeopathic route for myself and my family. My dad has been gone for almost five years but I have been able to work through the stages of grief. The last two years living as expats in England has really helped my marriage flourish and strengthen. When you live in the military world where divorce is so common, I find that a major accomplishment especially through everything we have been through. There was a time in my life where I felt so angry with God because he had ripped everything from my life and left me alone in the broken pieces. I have come out of the ashes again to be able to look at all the beauty in life.